Valen's Reef - Jackson Wild: Nature. Media. Impact. Host would need to provide a VR headset, or be able to fly out a member of the Valen's Reef team. Valen’s Reef is a touching, immersive virtual reality film that shares the wonders of some of Earth’s most beautiful reefs through the eyes of West Papuan fisherman-turned-coral-reef-scientist and conservationist Ronald Mambrasar and his 8-year-old son, Valen. 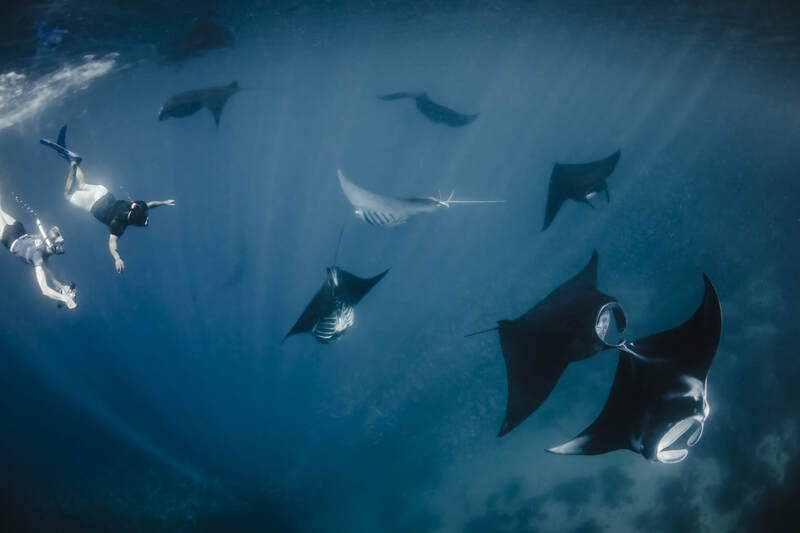 Together, they take viewers on an underwater journey among the region’s stunning sea life, including manta rays and sharks. 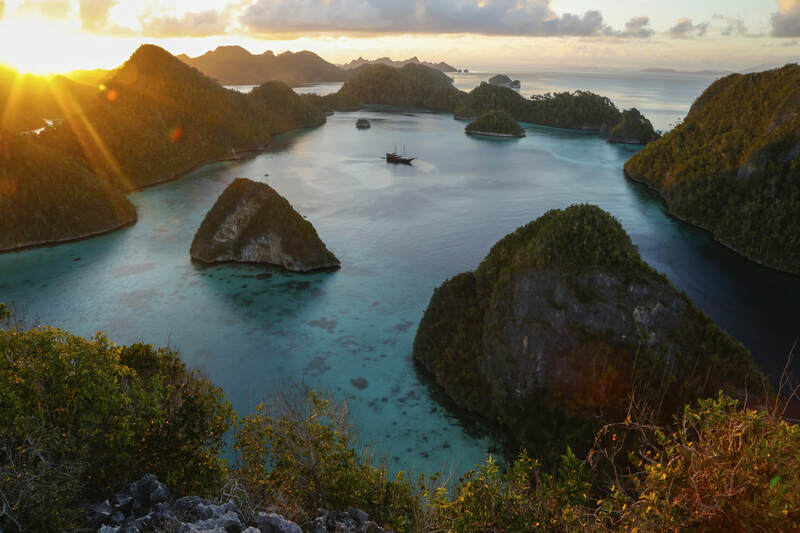 Ronald shares how his people have reclaimed their ancestral waters, creating one of the world’s most successful community-based marine conservation projects. Valen’s Reef was created by Conservation International in collaboration with Here Be Dragons and with support from The Tiffany & Co. Foundation. “Valen’s Reef” was inspired by the success of the Bird’s Head Seascape Initiative in Indonesia, one of the world’s most ambitious community-based marine conservation projects, and Ronald Mambrasar, the West Papuan fisherman-turned-coral-reef scientist and conservationist. Ronald tells his young son, Valen, the story of how the area was almost destroyed and how the community-led conservation initiative restored it over the course of the prior twelve years. People commit to something when they are able to personally relate to it, and effective storytelling is a primary way to make that connection. We look for stories of people, places, wildlife and scientific analysis that put CI’s work in context and help people see what we do. Our stories are honest and represent the urgent reality of our work with a positive tone. It’s not easy to get people to care about something that may feel half-way around the world. What we have known at CI for 30 years is that if we can take you to the places we work, let you explore the landscape, and meet the people who are living there, then we can get you to care and support our efforts. That is the importance of Virtual Reality for CI. We can remove the barriers of convenience and travel and expense. You will give us 10 minutes of your time to have this cool experience and you will learn more about this important place. That’s powerful for conservation. Relatively few people will have the opportunity to travel to Valen’s Reef, so CI is bringing the reef to them. As viewers explore these crystal waters teeming with fish, they begin to feel what it means to Ronald to protect his home for the next generation and they begin to understand just how successful conservation can be when local people are empowered to take a leading role. We hope the film will inspire viewers to take action to protect nature as if their lives depend on it...because they do. The Bird’s Head Seascape Initiative was launched in 2004 and is among the world’s most ambitious community-based conservation programs ever. Conservation International (CI), The Nature Conservancy (TNC), local community members, the regional government and partner NGOs created a network of twelve Marine Protected Areas that provide monitoring and management of the coasts, reefs and fish. Critically, communities are empowered to protect and sustainably manage their waters, while experiencing a boost in their livelihoods and quality of life. The Bird’s Head Seascape Initiative has been an unprecedented success — fish populations have rebounded, sharks, whales and rays have returned, illegal poaching by outside fishers is down 90%, coral is recovering and ecotourism has flourished. All of this has been achieved while ensuring access to education and food and providing livelihoods for local people. ● Any tips for those interested in exploring VR/AR production? In order for VR to be a worthwhile, you have a clear and simple story that will inspire action from your viewers. VR technology introduces new challenges for filming so scheduling additional time and allowing a flexible budget will help with some of these challenges. For example, with VR, you don’t have the advantage to use artificial lights to light a scene, you have to rely on natural light. For "Valen’s Reef," in order to bring out the colors and make the reef and the biodiversity look stunning, we had to make sure we shot on bright sunny days. Another important tip for VR is to be strategic about the camera placement. It is okay to have the camera rig off-centered if that creates better proximity to the scene. The placement of the rig will create that strong sense of empathy for the viewers.